1. 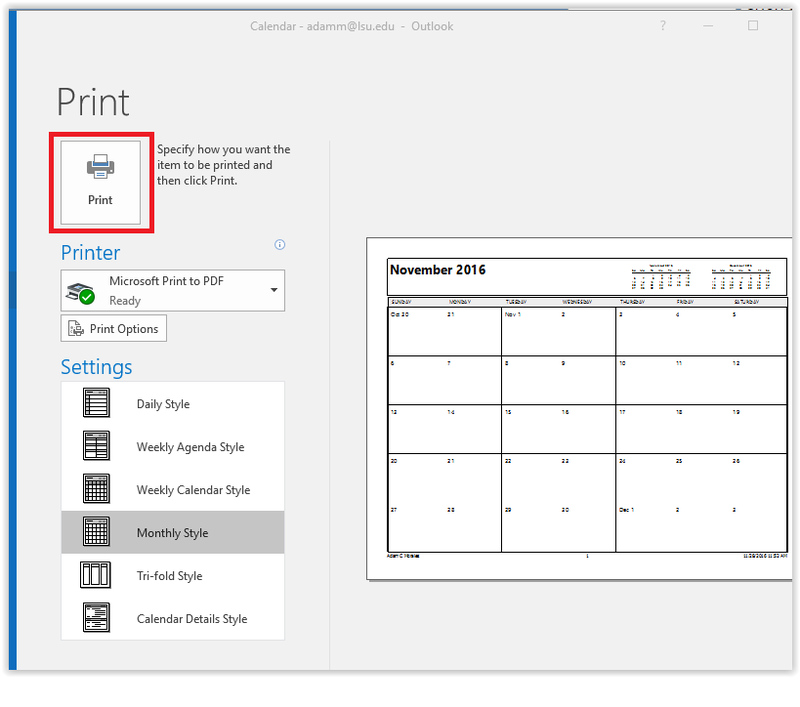 Login to your outlook page and select the calender button from the bottom of the screen. 2. Click the file option at the top left corner then the print button. 3.Select your print settings and then click print.